Have done/enjoyed the other in town/carriage tours and was looking for something new and different to do with my father and kids. 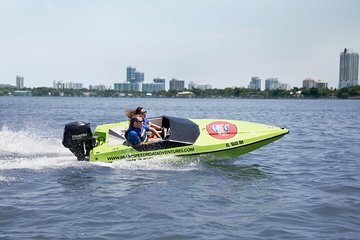 Recently did a powerboat tour in NYC and was hoping that Charleston offered something similar. This was even better!!! The boats were a BLAST and very easy to drive! The tour was informative as well and saw parts/perspective of Charleston for the first time even though we've been coming here for years. Highly recommend and will come back!